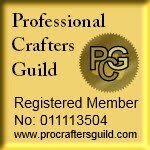 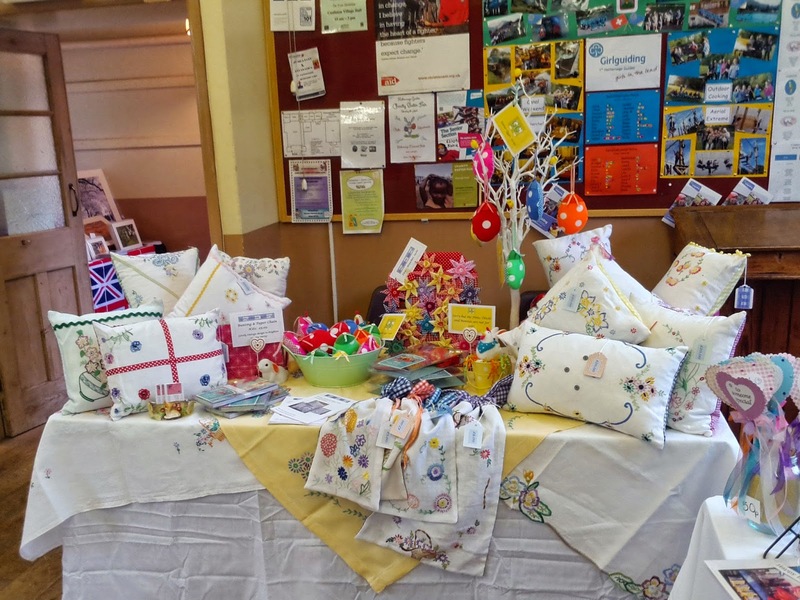 Earlier this month I attended the first of my local craft fairs. 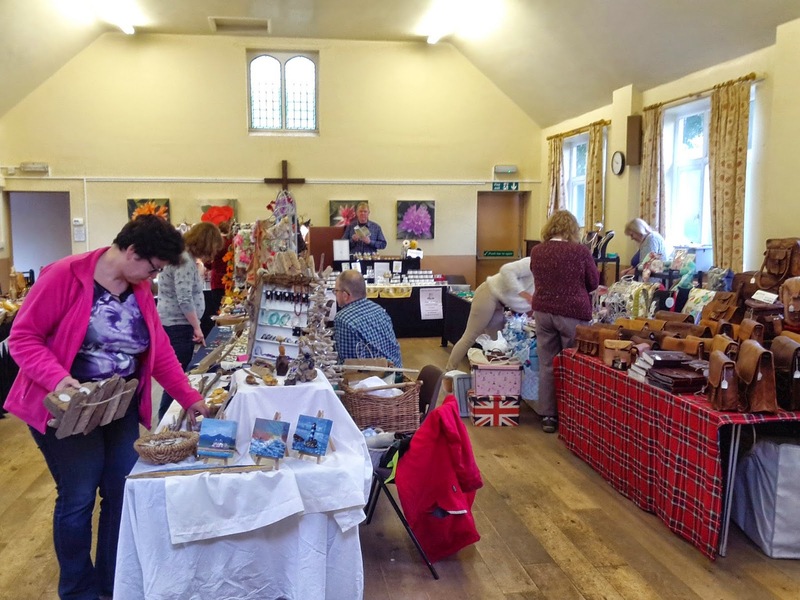 They are all in villages very close to where I live and as they usually have a lot of tourists and day trippers I am hoping they will be a success, more on that later! 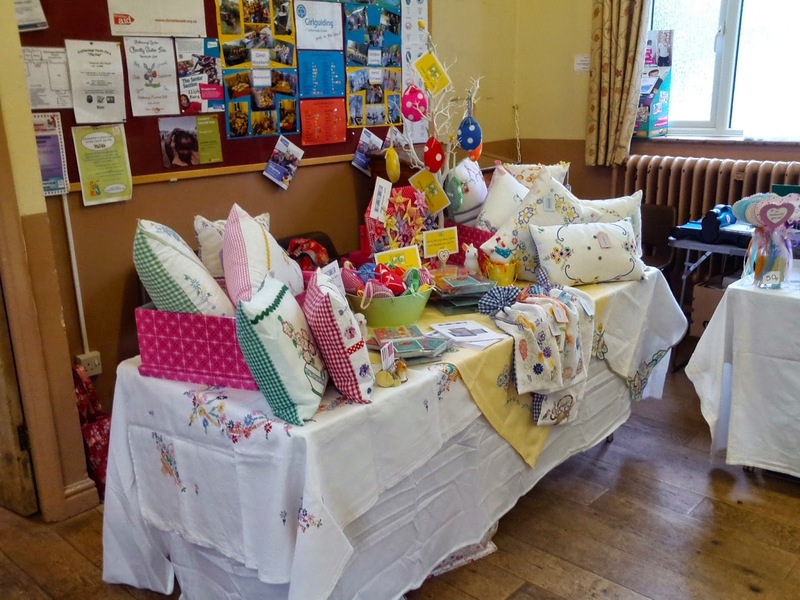 This was held in Hathersage Church Hall and had a good mixture of stalls including driftwood, baking and handmade leather bags. 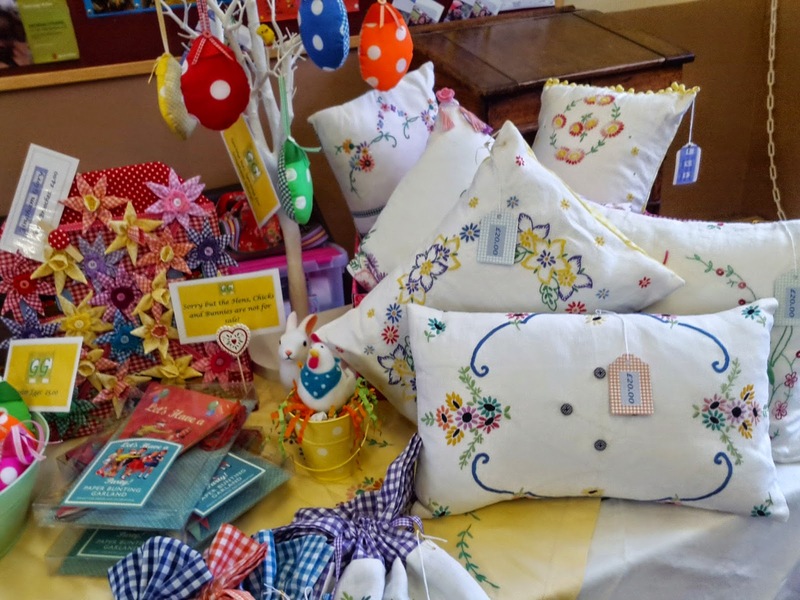 As this was a Spring Fair I made some Daffodil Brooches as well as bring along my Fabric Easter Eggs. 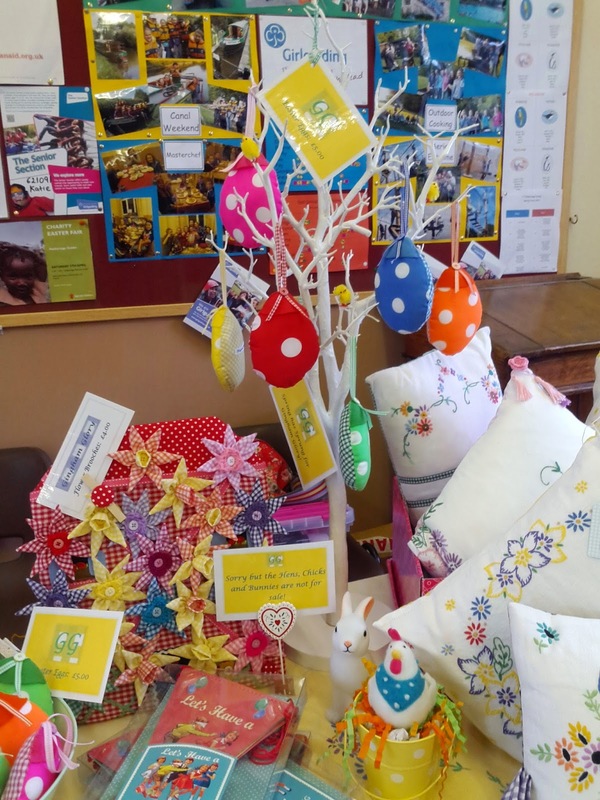 I am especially pleased with my new white tree which I used to display my Easter Eggs. 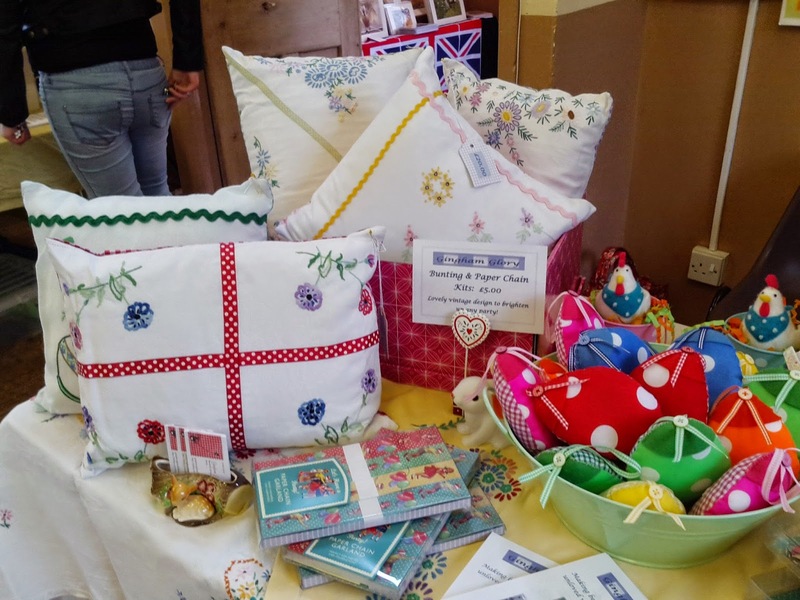 I also had my Vintage Embroidered Cushions and Drawstring Bags as well as some vintage style bunting and paper chain kits. 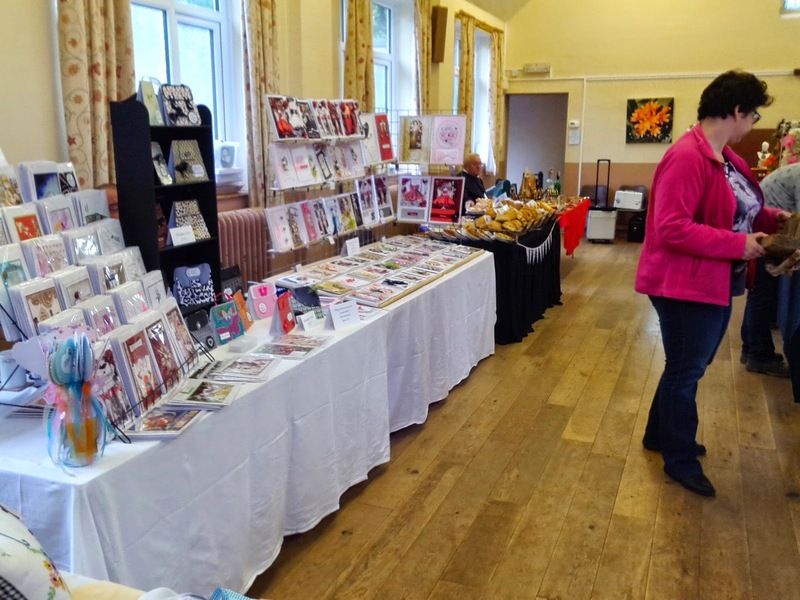 Unfortunately it was very quiet so only sold a few small items, I blame the weather which turned wet at the last minute and the Grand National!